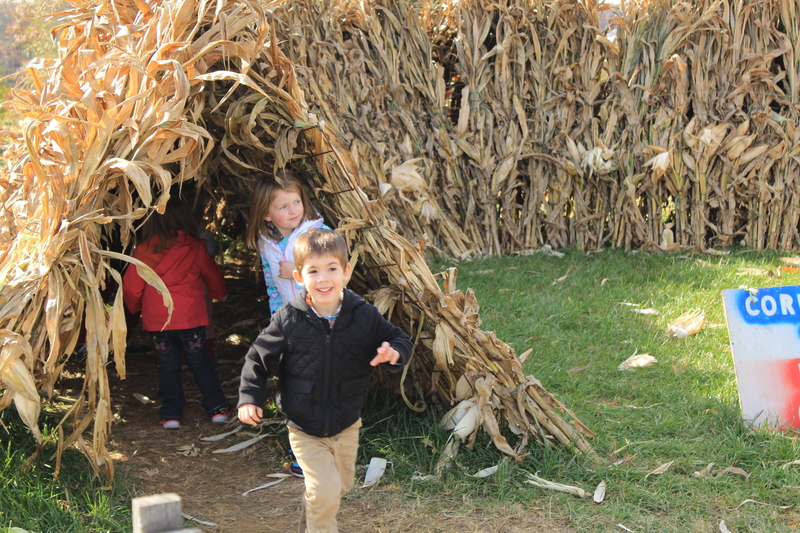 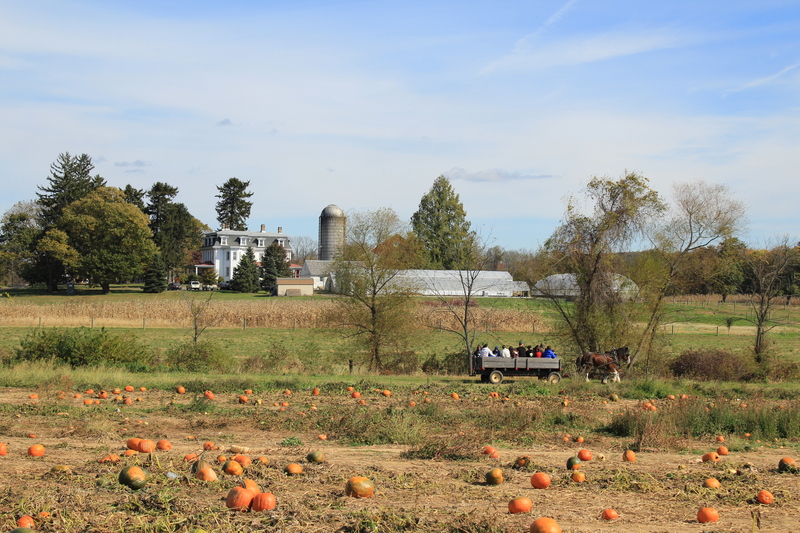 Corn maze at Nonesuch Farm in Buckingham. 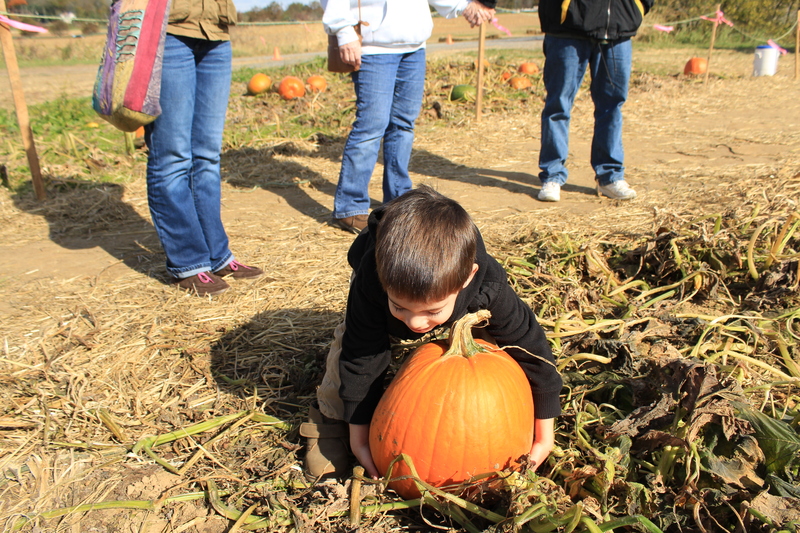 Trying to pick up the perfect pumpkin. 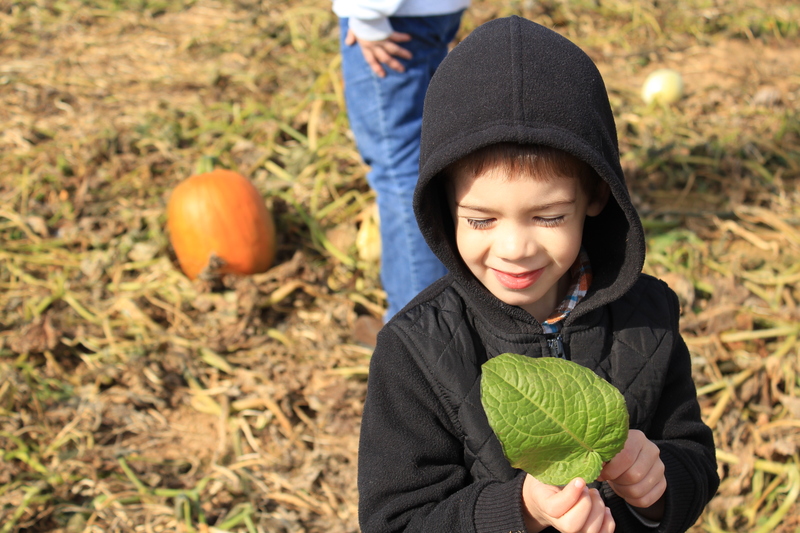 A leaf for his collection. 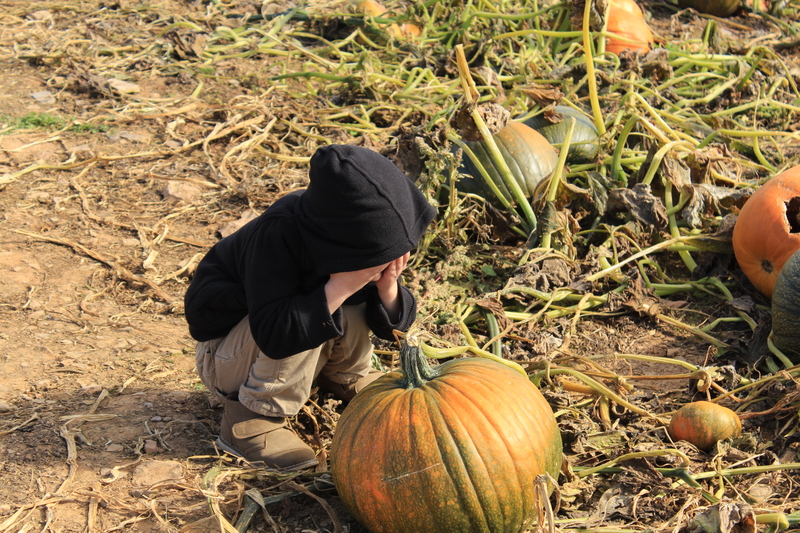 Playing hide and go seek in the pumpkin patch. 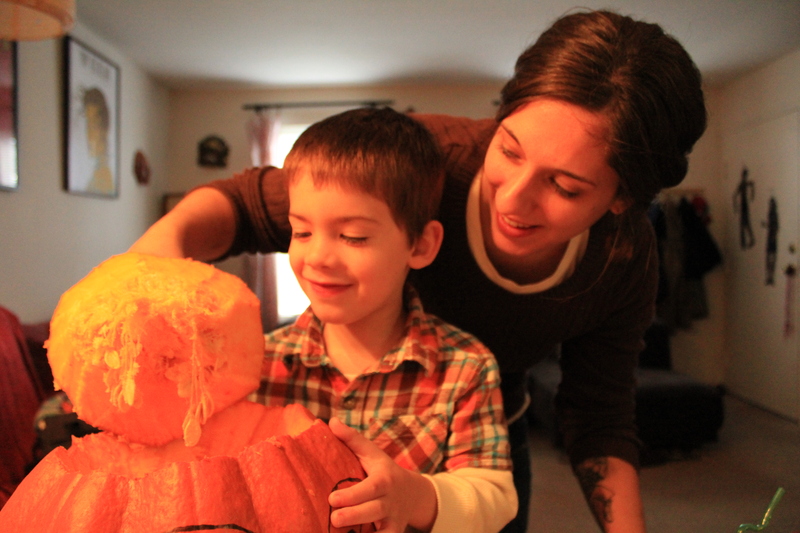 Carving a pumpkin with Mommy. 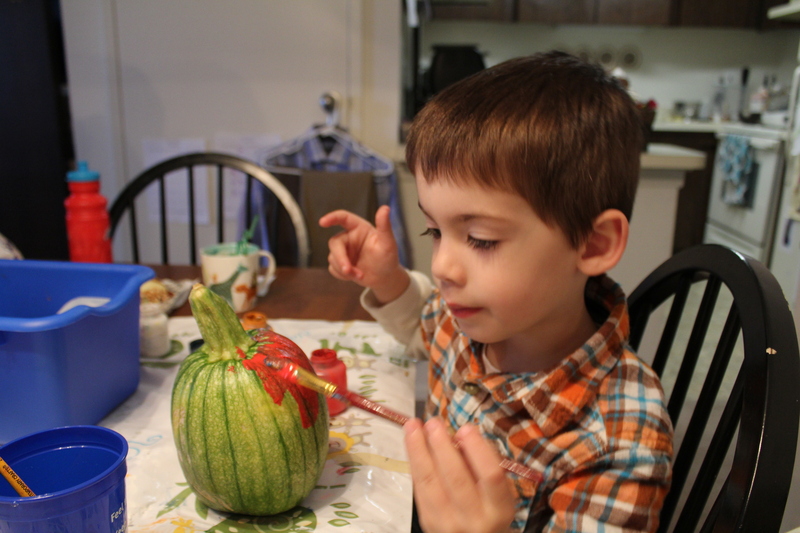 Spooky fruit for his class Halloween party. 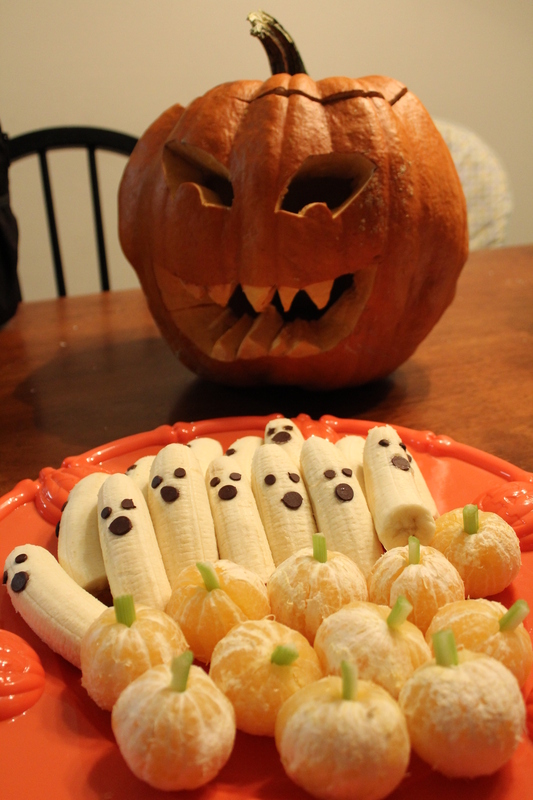 Ghost bananas and pumpkin clementines. 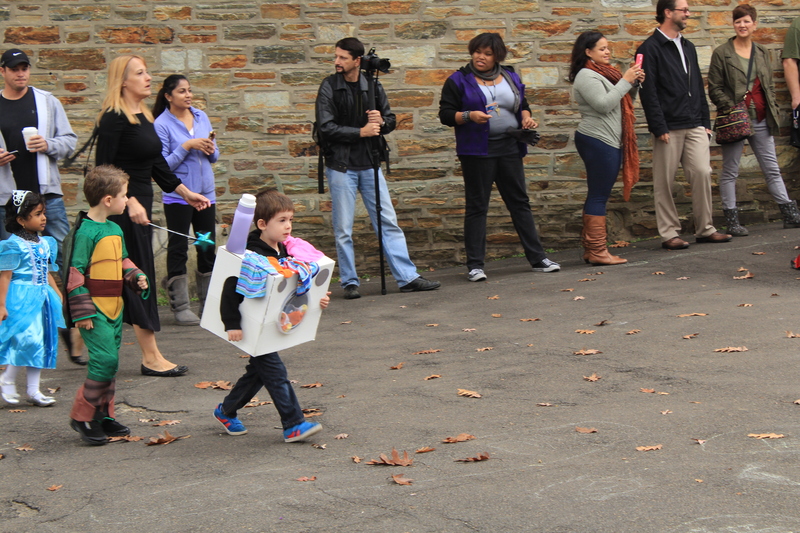 Trevose Day School Halloween parade. 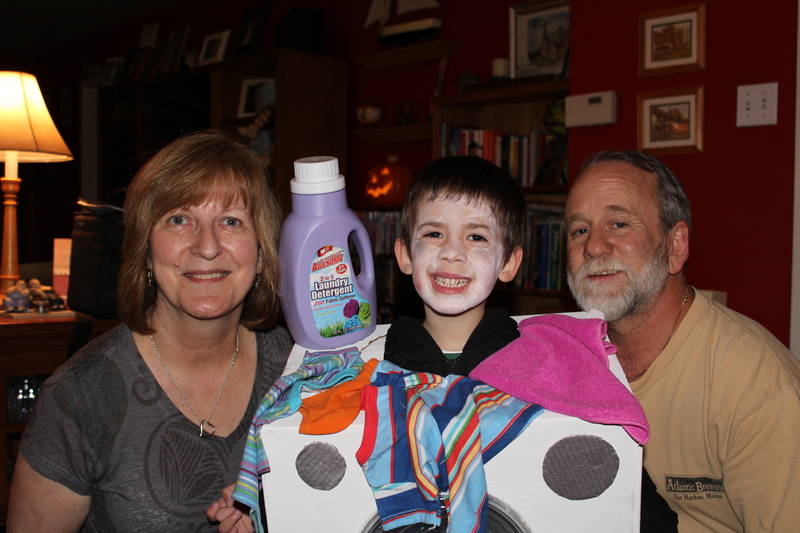 Nana and Grandpa with the “scary” washing machine. 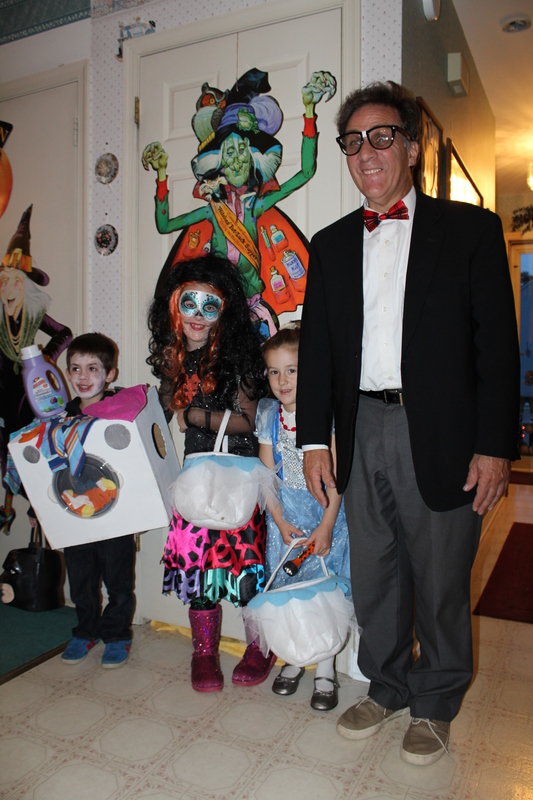 Max, Katie, Izzie and Pop-Pop before trick-or-treating. 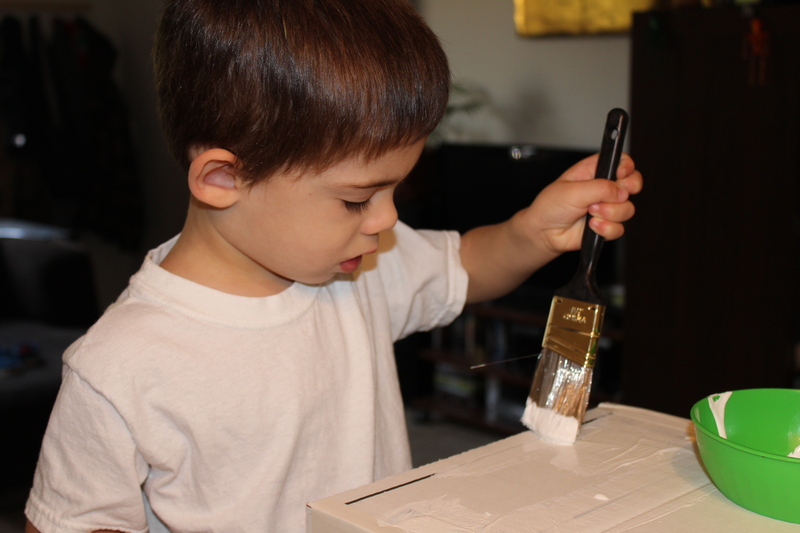 Checking out his loot with Daddy. 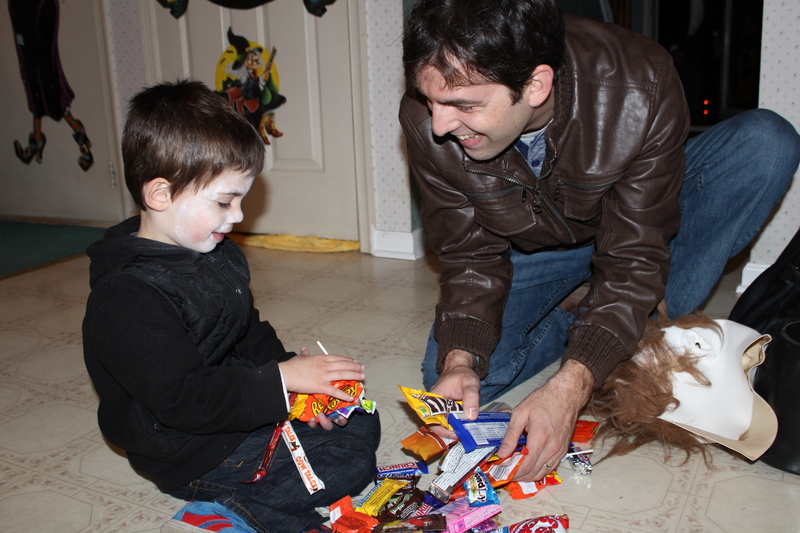 I’m not sure who was more excited by all the candy–I think maybe Daddy was.